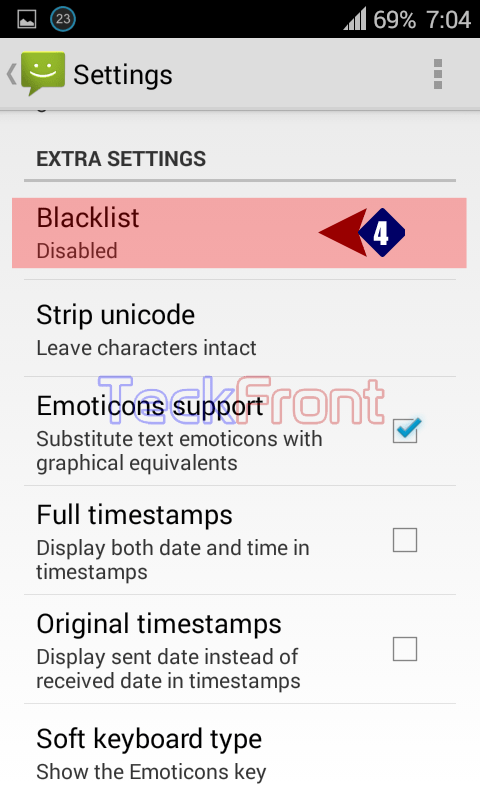 How to Activate Messages Blacklist in Android 4.4.4 KitKat Phone? Blocking incoming annoying messages can be enabled in Android 4.4.4 KitKat by blacklisting the contacts. It has the same procedure as those of incoming calls but the difference is that of messages only. Anyhow, this is a simple process and can be achieved by a few steps. Just follow the instructions. Command Line: Messaging App > Settings menu > Settings > Blacklist – EXTRA SETTINGS > ON/OFF. 1: Tap the ‘Messaging App’ to open the ‘Messaging’ screen. 2: At the ‘Messaging’ screen, tap the ‘Settings’ button, available at the top right corner of the ‘Messaging’ screen. It will open up a popup menu. 3: Tap ‘Settings’ in the ‘Settings’ popup menu. 4: At the ‘Settings’ screen, see the status of ‘Blacklist’ under the EXTRA SETTINGS. It is ‘Disabled’. Tapping it will open up ‘Blacklist’ screen. 5: Here, again see the ‘Blacklist’ switch is OFF. Tap it to ON, i.e. activate it. Now, you may add contact numbers which you want to block by blacklisting. 6: Back to the ‘Settings’ screen. See the status is changed to; ‘Incoming messages from phone numbers in the blacklist will be blocked’. Now, you may add phone contact numbers in the blacklist to block messaging from these contacts numbers. 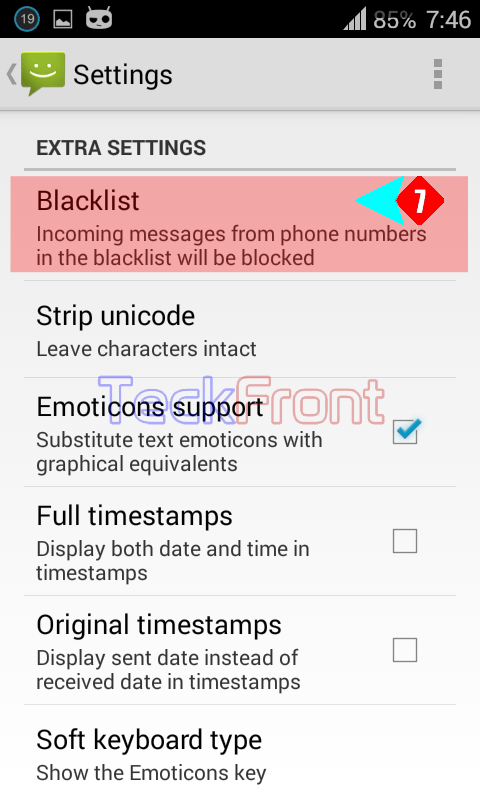 Newer How to Add Contacts to Blacklist Messages in Android 4.4.4 KitKat Phone? 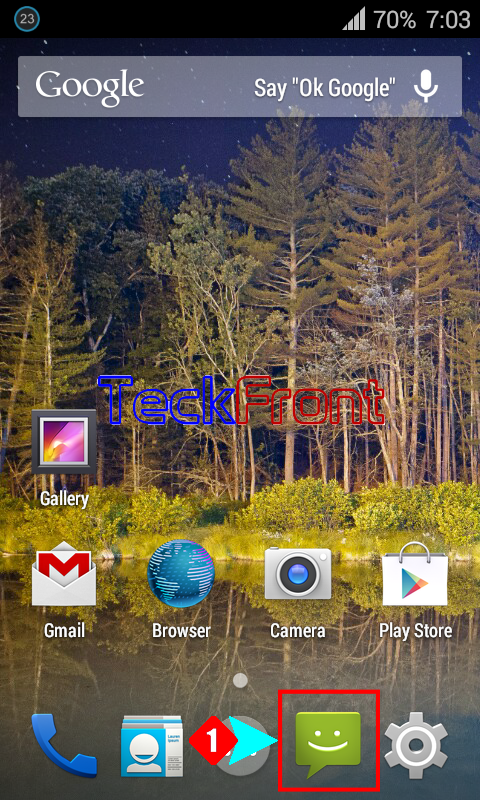 Older How to Manage Brightness, using the Power Control Widget on your Android 4.4.4 KitKat Phone?